This spring, the students in the English kindergarten classes on Cowper Campus have been working on an interdisciplinary unit about fairy tales. 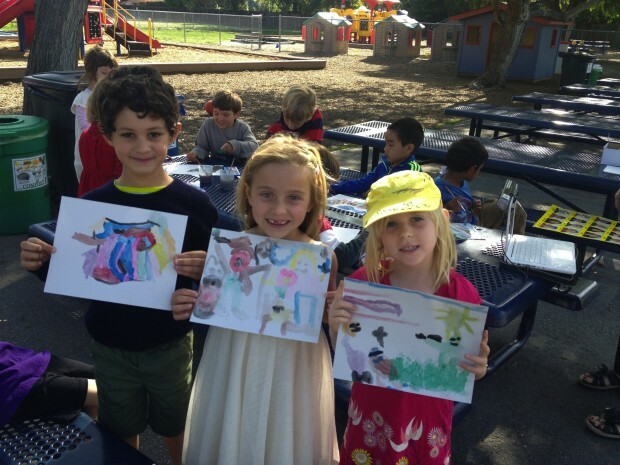 The kindergarteners, taught by Carol and Susan and Giselle and Beth, have especially focused on tales that feature wolves as important characters, such as the Three Little Pigs or Little Red Riding Hood. Peter and the Wolf, Sergei Prokofiev’s famous musical fairytale, made a perfect addition to the unit. Peter and the Wolf is a unique composition because the story is told using both words and music, which gave the kindergarteners the chance to make connections across disciplines. Each character in the story is represented by its own melody and orchestral instrument. For example, Peter is represented by stringed instruments, while his Grandfather is represented by the bassoon. First, the kindergarteners listened to music, with the accompanying story being read aloud. As students listened, they tried to identify the characters by the sound of their melodies and instruments, and thought about how music can be used to tell a story. 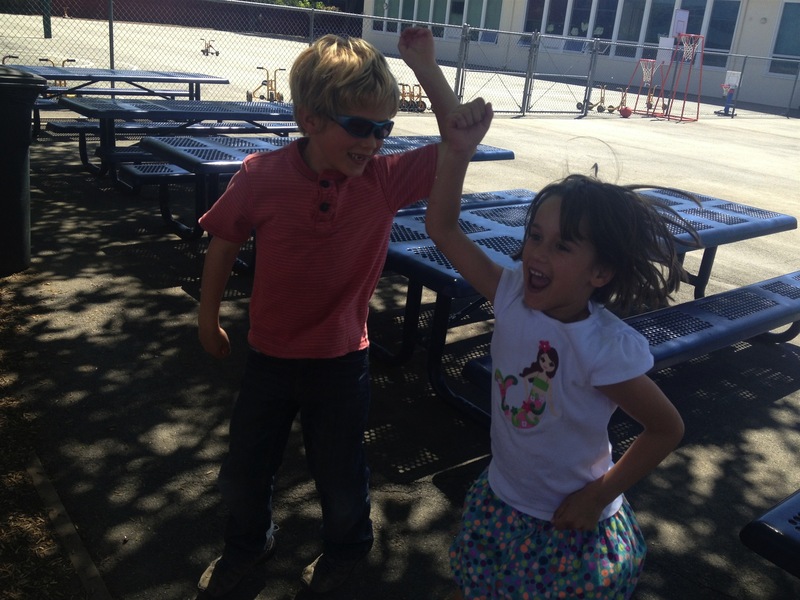 Next, they went outside for a special listen and response activity, taking advantage of Cowper’s outdoor learning environment on a beautiful spring day. 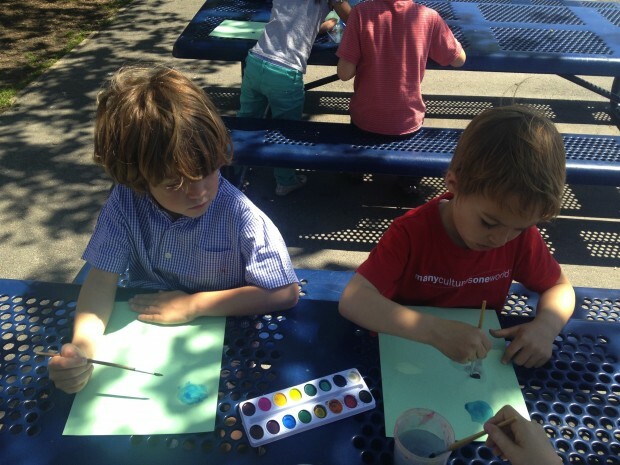 Outdoors, they listened to the piece again and were asked to respond to the music through watercolor painting. 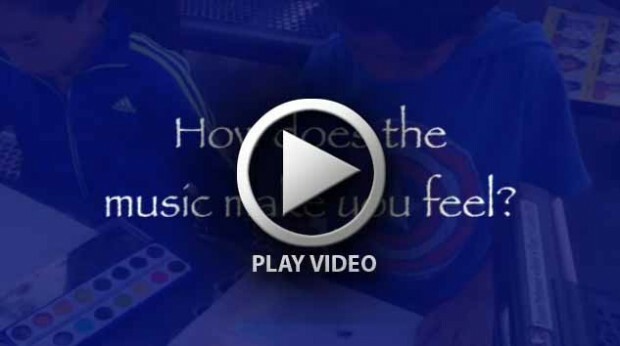 Students thought critically about the mood of the music and how the music made them feel, and chose a color to match each feeling or character. 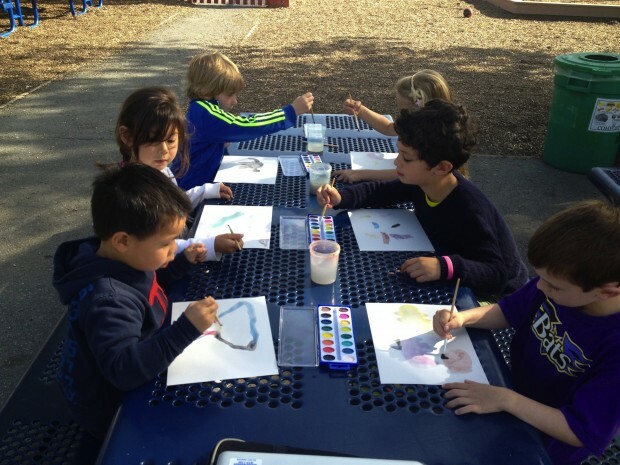 By translating music and feelings into paint, students made connections through multiple senses and perspectives and developed their creativity and self-expression. Watch this short video for further insight into this unique interdisciplinary activity.